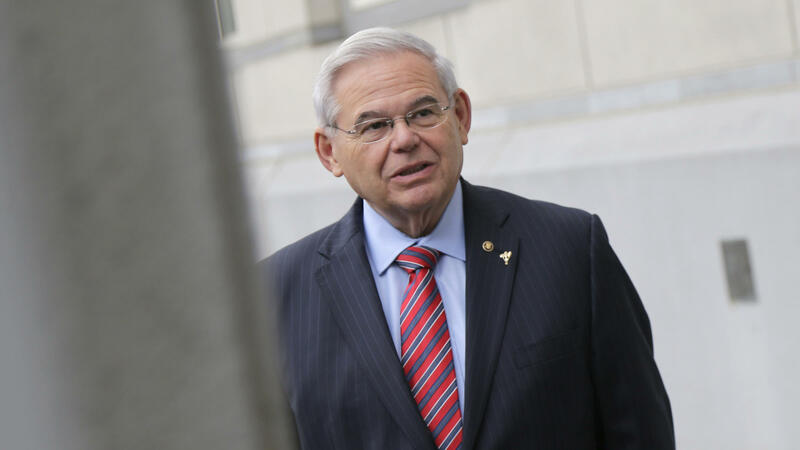 NEWARK, NJ - NOVEMBER 7: Sen. Robert 'Bob' Menendez is accused of accepting bribes from campaign donor Salomon Melgen, a Florida-based ophthalmologist. The 12-person jury told the judge for a second time that it was unable to reach a unanimous verdict on any of the bribery, conspiracy, fraud or false statements charges facing Sen. Robert Menendez and his co-defendant. A federal judge in New Jersey has declared a mistrial in the corruption trial of U.S. Sen. Robert Menendez. It came after the 12-person jury told the judge for a second time that it was unable to reach a unanimous verdict on any of the bribery, conspiracy, fraud or false statements charges facing the Democrat and his co-defendant, Salomon Melgen. Around 1 p.m., after emerging from chambers, Menendez hugged and kissed his daughter and son. Defense attorneys shook hands and patted each other on the back, as prosecutors huddled at their table. Citing the deadlocked jury, Judge William Walls concluded the case in a mistrial just after noon. "I find that you are unable to reach a verdict and that further deliberations would be futile," he said. The judge's decision closes out an 11-week criminal trial, which was at times tedious but also rife with tales of ritzy international travel and sizable campaign contributions. It pulled back the curtain on the personal life of one of the Senate's highest-ranking Democrats. The trial in the federal courthouse in Newark also had national political stakes: If Menendez had lost his seat, it could have tipped the political balance of the Senate further toward Republicans and cleared the way for legislation championed by President Trump. Now, one of the first prosecutions of a sitting U.S. senator in decades, which began with a bang, has ended in a whimper. It is unclear whether the government will retry the case. Justice Department prosecutors had accused Menendez and Melgen, a wealth Florida ophthalmologist, of engaging in a bribery scheme that lasted seven years, trading gifts and trips for government favors. Melgen flew Menendez around on his private jet, paid for the senator to travel to Paris and the Dominican Republic, and gave handsome political contributions to groups that benefited Menendez. In return, the government alleged, Menendez helped Melgen secure travel visas for his foreign girlfriends, intervened on the doctor's behalf in an $8.9 million Medicare overbilling case and tried to sort out a contract dispute at one of Melgen's companies in the Dominican Republic. Both men denied such an agreement ever existed, saying instead that they were simply close friends. The jury showed signs this week that they would be unable to reach a verdict. In a note on Monday, they told Walls they were deadlocked, only hours into a fresh round of deliberations with an alternate who had replaced a juror excused the previous week. At the time, Walls told them to go home for the day, eat a good meal and get some rest, and try again in the morning. They deliberated all day Tuesday and Wednesday without sending a note to the court. But Walls demurred. "That would be a futile exercise," he said. "The next thing I know I am therefore readily criticized for going down this slippery slope of coercion." A federal corruption trial against a sitting U.S. senator has ended in a mistrial. ROBERT MENENDEZ: To those who were digging my political graves so that they could jump into my seat, I know who you are. And I won't forget you. HU: That's New Jersey Senator Robert Menendez in front of a courthouse today in Newark. Joe Hernandez of our member station WHYY has been covering this trial and joins us now from Newark. Joe, welcome. JOE HERNANDEZ, BYLINE: Hey, Elise. HU: So prosecutors went into this trial saying they had a strong case. So how did it wind up going this way and winding up as a mistrial? HERNANDEZ: Yeah, well, we expect to hear more about that in the coming hours and days, but there were questions about this case from the start. One of them was - and perhaps this was the largest question - did Menendez and his friend and co-defendant, Florida eye doctor Salomon Melgen, truly have a bribery arrangement together? Did they conspire to bribe each other? Defense attorneys said from the start that there was no smoking gun showing that. And another big question in the case was, did what Menendez did for his friend - the alleged favors in the case - did they really rise to the level of an official act? And that would have to be the one side of a bribery scheme of a public official. That definition of bribery was narrowed a bit by the Supreme Court last year. So those questions were likely in the jurors' minds. HU: Tell us a little bit more about what they were accused of. HERNANDEZ: They were accused of a seven-year bribery scheme in which they exchanged free flights and lavish trips for political favors essentially. So Melgen gave Menendez free flights on his private jet. He's a wealthy eye doctor. He paid for hotel rooms for Menendez in Paris and in the Dominican Republic. And he gave political contributions that would have benefited Menendez. And prosecutors said in return for that, Menendez did Melgen favors. He helped get visas for some of Melgen's girlfriends. He helped Melgen try to sort out a Medicare billing dispute, $8.9 million, with his eye doctor practice. And he tried to sort out a contract dispute in the Dominican Republic. Menendez was also charged with leaving those gifts off of his Senate financial disclosure forms. HU: What about the defense team? How did it make its case? HERNANDEZ: Well, interestingly, a lot of the facts in the case were not disputed by the defense, and they agreed with the prosecution. These gifts were given. There's no doubt about that. And Menendez did many of the things that he was accused of that were called favors, but he said that he did them legitimately in his bona fide role as a senator. What the defense said was there was no connective tissue between those two things. There was no agreement between these two men to trade this for that, to trade gifts for favors. And they attacked the prosecution over and over about this saying, there's no smoking gun. There's no evidence of an agreement, no emails saying, do this for me and I'll do this for you. And so they say that alone doesn't prove that there's bribery. HU: So now what? 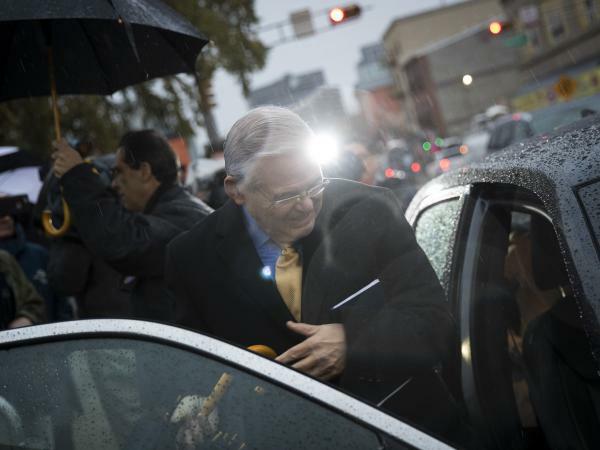 Where does the end of this trial leave Bob Menendez? HERNANDEZ: Well, Bob Menendez was definitely happy today. I mean, he was very emotional. He broke down in tears a little bit when he spoke to reporters outside of court. He was celebratory. But this chapter in his life is not going to be over yet. I mean, first of all, this was a mistrial. This was not an acquittal. The jury couldn't agree on whether he was guilty or not guilty. And so the government, the Justice Department, which brought these charges, could retry the case if they wanted to. So far they've just thanked the jury but have been tight-lipped about their plans for the future. Also, there's a Senate investigation now apparently into Menendez. Senate Majority Leader Mitch McConnell said today that although this mistrial occurred, the Senate would look into the serious charges leveled against him. Menendez appears to intend to stay in politics in the future, and he'll have to run for re-election next year if he wants to keep his seat. HU: That's Joe Hernandez of member station WHYY. Joe, thanks. HERNANDEZ: Thank you. Transcript provided by NPR, Copyright NPR.